192 pages | 1 B/W Illus. This book interrogates the sharp contrast that emerged between demands of the norms of international rule of law and the interests of conflict resolution at a local level in northern Uganda. Examining how the nature and character of complex conflict situations like that of northern Uganda confounds the application of transitional justice mechanisms, The International Criminal Court and the Lord’s Resistance Army reveals the enduring dilemmas of transitional justice. Scrutinising the competing interests of punitive approaches to contemporary transitional justice and the political considerations for peace that may entail entering into dialogue with criminals, this book approaches such concepts from the perspective of international standards and the standpoint of the victims. While exploring the complexities of transitional justice processes, the book interrogates prevailing assumptions, proposing a broader conception that places at the centre local structural conditions associated with a conflict. 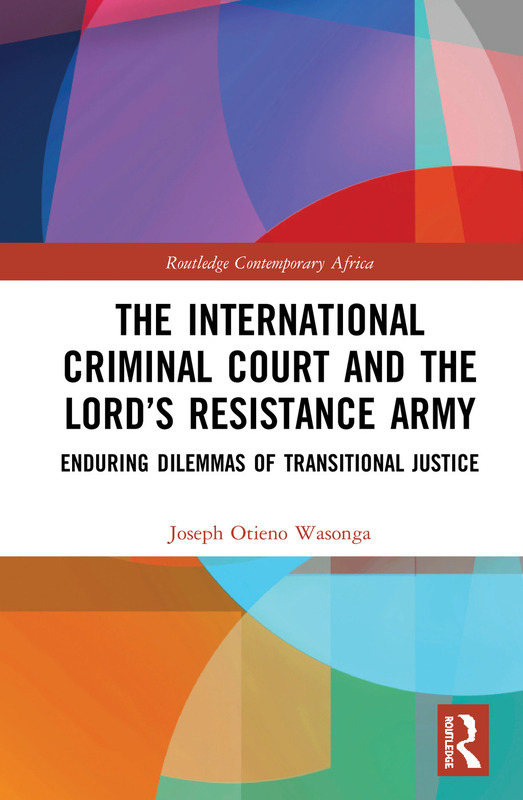 The International Criminal Court and the Lord’s Resistance Army will be of interest to scholars and students of international law, African politics and conflict studies. Joseph Otieno Wasonga is a Lecturer and Chair of Department of Diplomacy and International Relations at Kenyatta University, Kenya.